Turkey and the West: How Bad is It? This article was originally published by the Central Asia-Caucasus Institute and Silk Road Studies Program Joint Center on 13 October 2017. The U.S. suspension of visa services in Turkey is an indication of the depth of the fissures between the West and Turkey. While Turkish bureaucrats are trying to maintain functioning relations with the West, there are growing calls in Washington, Ankara and Berlin to redefine Turkey policy. Is Turkey headed for an incremental divorce with the West? Since 2011 but more visibly since the 2013 Gezi Park protests, Turkey’s relations with the U.S. and the EU have become increasingly tense. Turkey’s ever deepening authoritarianism, virulent anti-Westernism and recent flirting with Russia and China have made dealing with Ankara a considerable challenge. Interestingly, Turkey’s turn toward authoritarian one-man-rule has come after a period of impressive economic growth, increasing political weight and overall recognition as a regional power house from 2003 to 2011. Turkeys’s disagreements with the U.S. became more visible as Turkish and American interests diverged in Syria, and both parties were confronted with the question of how to deal with threats emanating from that country. Washington’s narrow focus on ISIS, little appreciation for Turkish concerns and its preference to ally with the Syrian Kurds against ISIS angered Ankara. The Turkish refusal to allow Incirlik air base to be used by the coalition against ISIS until 2015, a Turkish border policy that turned a blind eye to what crosses the Syrian border, and an increase in anti-American statements by senior Turkish officials have dented the trust between the two allies. Further, the largescale curtailing of freedom of expression and freedom of assembly since 2013, and the radical erosion of the rule of law particularly after the July 2016 coup attempt have exacerbated the downturn in bilateral relations. Ankara even alleged that Washington had supported the failed coup and demanded that Washington immediately extradite Fethullah Gülen, whom it accuses of masterminding the coup attempt. In 2017, 72 percent of Turks indicated that they view U.S. power and influence as a major threat to Turkey. The independence referendum in Iraqi Kurdistan has only confirmed long-held Turkish suspicions that Washington wants a Kurdish state in the region. Ankara’s attempts to acquire first Chinese, and now Russian S-400 missiles, for its air defense system have further raised doubts about Ankara’s reliability as a NATO ally. The U.S. Congress has held critical hearings on Turkey, passed resolutions condemning Erdoğan’s security detail implicated in a brawl with protesters in Washington and has blocked the sales of guns to the Turkish President’s body guards. Tensions reached new heights over the arrests of a number of foreign service national employees working at U.S. embassies in Turkey. Washington responded resolutely by halting visa services in Turkey. The deterioration of Turkey’s relations with Europe has largely played out in the framework of its relations with Germany. Ankara’s relationship with Berlin has soured particularly since German authorities refused to allow Turkish politicians to campaign in Germany, and President Recep Tayyip Erdoğan’s remarks equating German policies with Nazism in March 2017. Even before the attempted coup, relations were already becoming more fragile over the German Bundestag’s Armenian genocide resolution, the jailing of German journalists and Turkish frustration over the failure of visa liberalization that was part of a German-brokered migration deal. Ankara feels it has not been shown adequate solidarity in the aftermath of the coup attempt, and is adamant about seeking the extradition of Turkish officials it claims have been supportive of the failed coup, something Berlin rejects. Turkish-German confrontation also manifested itself in the form of numerous Turkish refusals to German lawmakers’ requests to visit a NATO base in Turkey where German troops were stationed, which resulted in the relocation of German warplanes and troops to Jordan. Intensified by the German election climate, the confrontation continues almost on a daily basis with mutual travel warnings being issued, and President Erdoğan calling German Turks not to vote for Germany’s mainstream parties – whom he described as “enemies of Turkey”. Ankara’s confrontation with European states also extended to the Netherlands, Austria and Sweden either due to their refusal to allow Turkish parliamentarians to campaign, or Ankara’s meddling into the Turkish diaspora there. In response to these developments, calls to redefine Turkey policy on both sides of the Atlantic have become louder. Spearheaded by Germany, the European Council will meet in October to discuss a new approach toward Turkey. The search for redefining U.S. policy is less structured and more confused, primarily due to Washington’s traditional reluctance to anger Turkey as well as the growing personal relationship between the two country’s presidents. Yet, calls for a comprehensive reset with Turkey have gathered momentum since U.S. embassy personnel were detained by Turkish authorities. Although there is an increasing appetite to respond assertively to Turkey in European capitals, it is highly unlikely and technically extremely difficult to reach unanimity on suspending the accession negotiations. Suspending accession negotiations would only have a symbolic value as negotiations are already de facto frozen. The European Commission assesses that Turkey is no longer fulfilling the Copenhagen criteria, and basically waits for Turkey to return to the rule of law. The real issue between Ankara and Brussels is customs union modernization, something Ankara is keen to pursue. Although both sides have clear economic interests in modernizing the customs union agreement, recent German statements suggest that Berlin is likely to veto it. Besides, Ankara seems to underestimate the economic governance conditions that would inevitably come with the modernization of the customs union. Visa liberalization for Turkish citizens is currently off the table, as Ankara is unwilling to amend its anti-terror law and the overall political climate in Europe is far from favorable. Berlin has taken some unilateral measures such as limiting credit guarantees for German companies operating in Turkey and taking a closer look at the activities of Turkish NGOs, mosques and media in an effort to facilitate the release of German citizens in Turkish prisons. A multitude of Turkish commentary suggests that Ankara views tension with a number of European countries as a transitory phenomenon. Turkish decision makers link the ongoing tension to election climates in the Netherlands and Germany. This prognosis fails to recognize that an important psychological threshold was violated by Erdoğan’s Nazi remarks. And this issue is not limited to Germany either. The Nazi remarks have infuriated a large spectrum of Europeans who took them as the ultimate insult. Also, Erdoğan’s meddling into the Turkish diaspora is of concern to European host countries. (See April 5, 2017 Turkey Analyst) As was demonstrated in the German election, many of these countries are confronted with rising far-right political movements which will force governments to take more decisive actions against Erdoğan’s excesses. Since the April referendum, Ankara has intensified its efforts to redefine its relations with the U.S. and the EU. Ankara has long abandoned the notion of a value-based relationship but rather deals with both actors on a transactional basis. Further, the Turkish leadership is intensely engaged in steering Turkey’s social, political and cultural spheres away from the West. Apart from the total suspension of the rule of law and the separation of powers, a determined drive to undo Turkey’s secular heritage is underway. This manifests itself in the form of a new school curriculum that is considerably more religious if not outright Islamist, the attempt to separate the sexes in public life, a smart and equally intense Islamist-nationalist propaganda effort through television and other media, attacks on the legacy of the founder of the secular Turkish Republic, the creation of new foundational myths, and an all-encompassing climate that dictates an authoritarian conservative-nationalist narrative of the “New Turkey”. President Erdoğan’s recent visit to New York has confirmed that he has established a good working relationship with the U.S. chief executive. That said, the Pentagon, the U.S. Congress and the American media are extremely critical of Erdoğan, especially after his security detail was involved in a violent brawl in Washington and calls for the release of a U.S. pastor from a Turkish prison gather momentum. In the old days, whatever was happening at the bilateral level, the Pentagon used to be one of the staunchest supporters of Turkey. Those days are now a distant memory. In fact, the institution that is most critical of Ankara in the Beltway may be the one run by men in uniform. Advocates who argue for an alternative to the Incirlik air base within the Pentagon are ever more influential. And, to the chagrin of the Turkish military, they view the Syrian Kurds as a more effective fighting force in Syria. Further, there is a certain sense of “Turkey fatigue” in Washington. Few believe meaningful change is in the offing in Ankara. Besides, Turkey is currently not a priority as North Korea dominates American foreign policy thinking. Despite the cordial optics of the recent Trump-Erdoğan meeting, the Turkish-American relationship is fraught with real problems. The Trump Administration has adopted a highly compartmentalized approach that avoids raising Turkey’s democratic decline. The State Department, a traditional ally of Ankara’s, is largely sidelined. The recent inclusion of former economy minister Zafer Çağlayan in the infamous Reza Zarrab case demonstrated that the case continues to carry real risks for Erdoğan. Should inconvenient information emerge during the court proceedings in the lead up to the next presidential election, this may have a negative impact on Erdoğan’s bid for re-election. Turkey may be headed for a gradual divorce from the West. The Turkish leadership is not interested in a sudden rupture, but rather wants a gradual process that does not upset delicate balances both home and abroad. 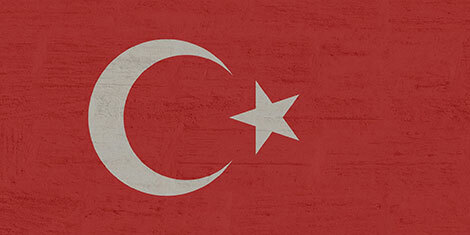 Ankara is fully aware of the mutual interdependence of the Turkish and European economies. Hence, it is keen on maintaining and even developing the economic dimension further with Europe. What we have at hand is the determination to facilitate a gradual political, social and cultural divorce coupled with a desire to free itself from the legal and political implications that association with Europe entail. Ideally, the “New Turkey” would maintain strong economic links with the West but would have an Islamist-nationalist posture that selectively cooperates with Western institutions when it sees fit, without the legal and political implications that come with full membership in the Western camp. This Turkey is keen to present itself as the moral and political leader of the underrepresented and underprivileged segments of the Muslim World. Ankara is likely to continue to seek tactical and compartmentalized partnerships with Russia and Iran as we see in Syria and the Kurdish referendum. Nevertheless, Turkey’s ever-increasing unreliability as a NATO ally is already putting in question whether Turkey’s allies would be willing to extend Article 5 solidarity if and when Turkey would need it. Should Turkey’s current internal restructuring and incremental disassociation with the West continue unabated, a full-fledged strategic realignment may be a fact by the centenary of the Turkish Republic in 2023. Suat Kınıklıoğlu is a senior fellow with the Central Asia-Caucasus Institute & Silk Road Studies Program.